CONCORD, N.C. — Chip Ganassi Racing announced Tuesday thatJohn Hunter Nemechek, a five-time winner in the NASCAR Camping World Truck Series and NASCAR Next alumnus, will drive the No. 42 Chevrolet Camaro in multiple NASCAR XFINITY Series races next season. Nemechek, 20, will work with veteran XFINITY Series crew chief Mike Shiplett, who has led the team for the last four seasons. The No. 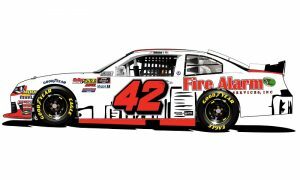 42 Chevrolet will carry primary sponsorship from Fire Alarm Services Inc. when Nemechek is behind the wheel in 2018. A look at John Hunter Nemechek’s No. 42 Fire Alarm Services Camaro for 2018. Nemechek began his racing career in quarter midgets at the age of five. He was the 2011 Allison Legacy Racing Series Rookie of the Year and followed up his rookie performance with the series championship in 2012. Nemechek then moved into late models in 2013 and won the Miller Lite Super Late Model Series Championship at Mobile (Ala.) International Speedway. 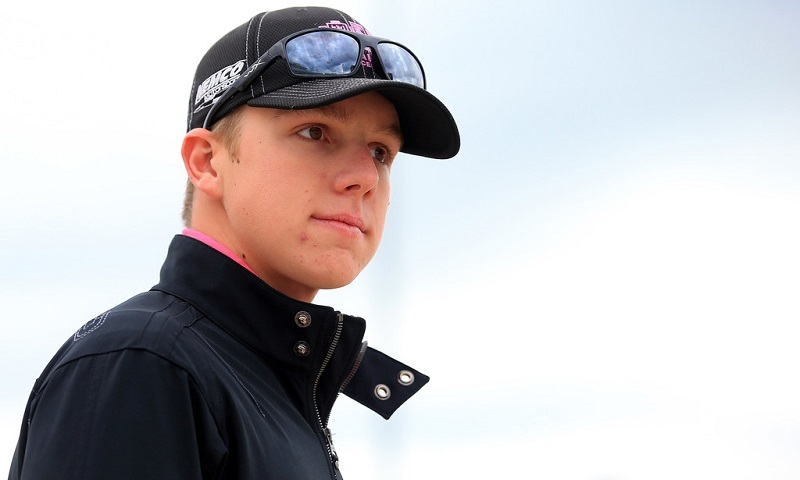 He won three of the biggest Super Late Model races over the next two seasons, including the All-American 400 in Nashville, Tenn.; as well as both the Snowball Derby and the Snowflake 100 at Five Flags Speedway in Pensacola, Fla.
Nemechek made his Truck Series debut in 2013 at Martinsville Speedway at just 16 years old. He competed in the division on a part-time basis in 2013, 2014 and 2015. Nemechek captured his first series victory at Chicagoland Speedway in 2015 and was also named the series’ Most Popular Driver. He moved to full-time driving duties in 2016 and 2017, where he qualified for the Truck Series playoffs in both seasons. In 76 starts, Nemechek has five wins, one pole, 22 top-five and 38 top-10 finishes. He has finished eighth in points in each of the last two seasons. Of note, John Hunter is the son of 1992 XFINITY Series champion and multi-time Monster Energy NASCAR Cup Series winner Joe Nemechek, who drove for CGR co-owner Felix Sabates’ SABCO Racing team from 1997 through 1999 and scored the team’s final Cup Series victory at New Hampshire Motor Speedway in September of 1999.